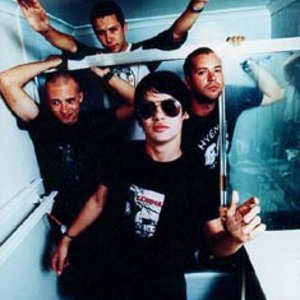 Grinspoon are an Australian post-grunge band (formerly alternative metal) from Lismore, Australia, formed in 1995 by Phil Jamieson (vocals), Pat Davern (guitar), Joe Hansen (bass), and Kristian Hopes (drums). They gained fame when they were Unearthed by national commercial-free radio station Triple J with their track Sickfest. The band was heavily influenced by grunge and alternative metal music in their early career, and developed a strong following among mosh pit crowds. The band was heavily influenced by grunge and alternative metal music in their early career, and developed a strong following among mosh pit crowds. Their sound changed to a more mainstream rock sound with their 2004 release Thrills, Kills & Sunday Pills, which caused them to lose many of their earlier fans while at the same time gaining a lot of new ones.